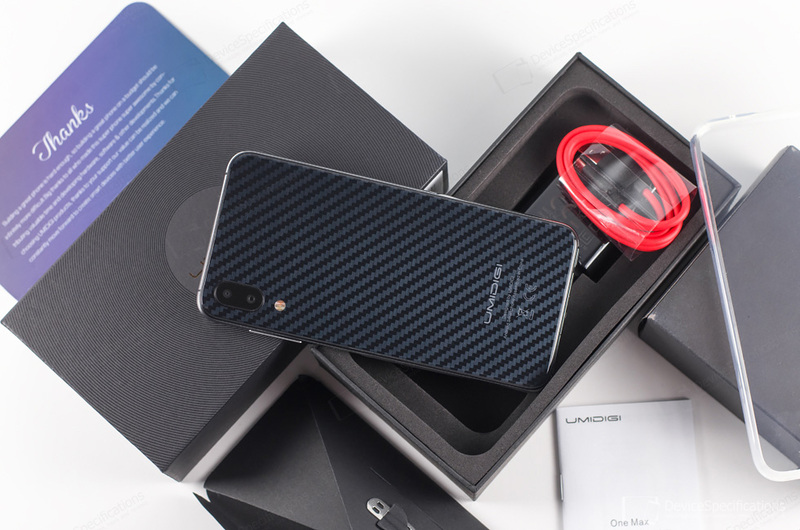 UMIDIGI One Max is the third smartphone from the One series of the brand, which is known for offering quality design, interesting features and affordable prices. The One Max arrives with a bigger display and larger battery while retaining the wireless charging, side-mounted fingerprint sensor, dual speakers from the One Pro. There are a number of other differences as well, so here's a convenient table that compares UMIDIGI One, One Pro and One Max. The latter is the main topic of this in-depth review, in which we will explore in detail the design, display, performance, cameras, audio, battery, software, connectivity and sensors. 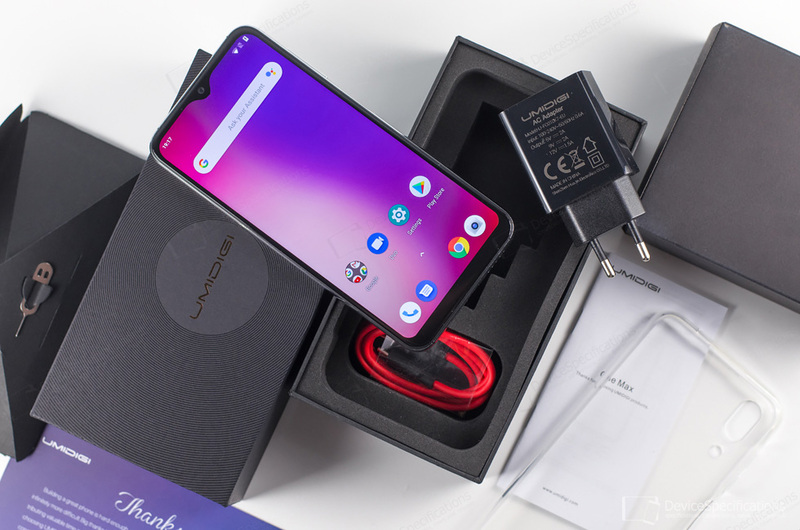 UMIDIGI One Max features a 6.3-inch in-cell IPS display which retains the resolution from the One and One Pro - 720 x 1520 pixels or the so-called HD+. The front and back of the handset are covered with a 2.5D curved glass and there's an aluminium alloy frame with a glossy finish between the two. The One Max ups the battery capacity to 4150 mAh and supports up to 18W fast charging and 15W wireless charging. Just like the previous two models from the series, a MediaTek Helio P23 chipset ticks under its glass hood. This is the downclocked MT6763V variant of this system-on-chip, which houses an eight-core Cortex-A53 CPU with four cores ticking at 2GHz and the other four - at 1.5GHz. The graphics department is managed by a dual-core Mali-G71 MP2 GPU clocked at 700MHz. This model has an identical camera department to the ones of the UMIDIGI One and One Pro, namely a 16MP Samsung S5K3P3 front-facing camera with a 5-element lens with an f/2.0 aperture and a dual camera module. The latter consists of a 12MP OmniVision OV12870 main shooter with a 6-element lens with an f/2.0 aperture and a 2MP GalaxyCore GC2335 auxiliary snapper, software interpolated to 5 megapixels. The rear cameras are aided by a dual LED flash and PDAF. UMIDIGI One Max supports an impressive number of network bands including 2G GSM (Bands 2/3/5/8), 2.5G CDMA (1X/BC0/BC1), 3G WCDMA (1/2/4/5/8), 3G TD-SCDMA (34/39), 4G TDD-LTE (34/38/39/40/41) and 4G FDD-LTE (1/2/3/4/5/7/8/12/13/17/18/19/20/25/26/28A/28B). These bands and VoLTE are supported by both cards simultaneously. The rest of the connectivity options include dual-band Wi-Fi 802.11 a/b/g/n, Wi-Fi Direct, Wi-Fi Hotspot, Wi-Fi Display, Bluetooth 4.1. NFC with Android Pay is on board as well. Just like the other two models from the series, the fingerprint sensor of One Max is side-mounted and combined with the power button. The handset arrives with dual speakers - one at the bottom and one with the earpiece. It is also equipped with a USB Type-C 2.0 port and a 3.5 mm jack and runs on almost stock Android 8.1 Oreo. Complete UMIDIGI One Max specifications.